What can the Internet’s path to success teach us about TV’s data revolution? The TV business is being turned upside down, in particular by the use of data in programmatic TV. Lewis Sherlock, Senior Director at Adap.tv examines whether the ‘old’ ways of doing business in TV are still relevant, and why metrics must expand beyond age and gender demographics. Marketers who use data insights to drive marketing campaigns are three times more likely to report competitive advantage in customer loyalty than those who don’t, according to new research. 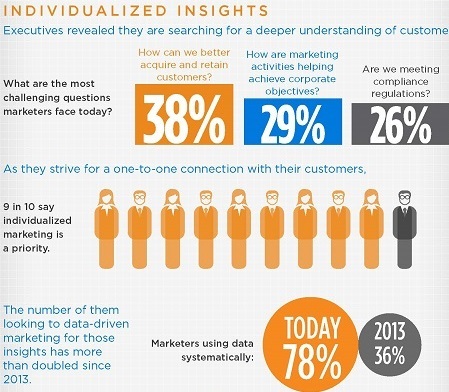 Twice as many companies now have strategic data-driven marketing initiatives than in 2013, according to new research. 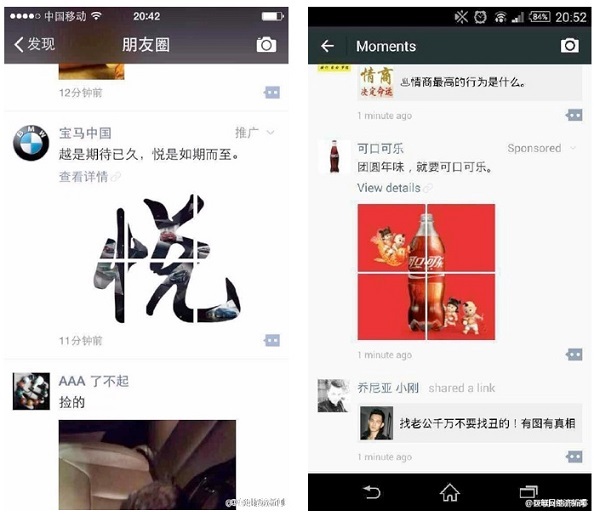 WeChat is testing ads with BMW and Coke among the first brands appearing on users phones, as China’s most popular social networking app explores ways to monetise its huge user base. Choosing the right digital marketing tools: Is a ‘suite’ or ‘best-of-breed’ solution best? When it comes to choosing digital tools, marketers are often faced with the choice of a single vendor application suite or multiple best-of-breed packages for different functions. A new study shows that marketers are divided on which is the best approach. Tumblr has launched a new initiative that pairs artists with brands, as the Yahoo-owned blogging platform looks to further monetise its 420 million monthly unique visitors. 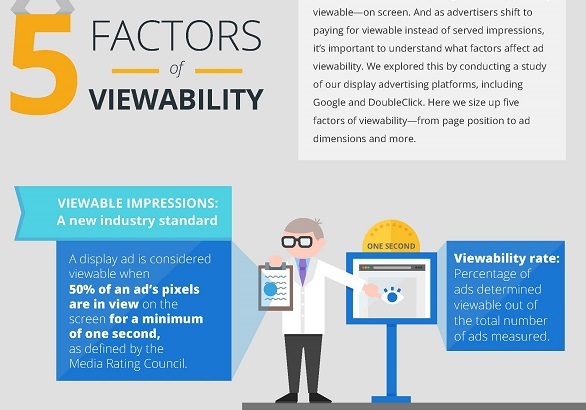 Most display ads are not seen by anyone on the web, apart from bots, according to new research from Google. 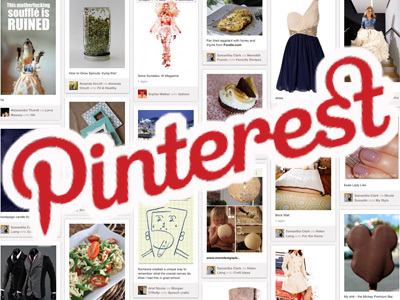 Mobile app trends for 2015: The year apps go programmatic? App monetisation and programmatic availability as the most prevalent goals for app developers and publishers, according to a new report. It is always better to keep old customers happy rather than win new ones? Richard Foster, Chief Commercial Officer, Intelligent Optimisation calls for a climate change in digital advertising –urging marketers to drive growth by focusing on new customer acquisition, rather than continuously retargeting existing prospects.